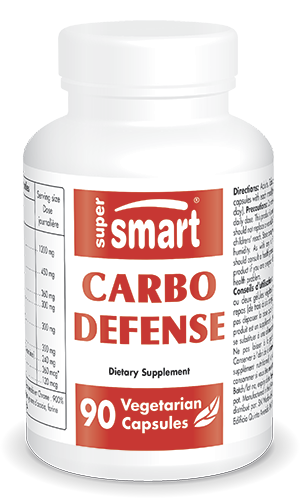 Formulated to reduce conversion of carbohydrates into fat stores. Can slow down carbohydrate absorption. ¤ improve insulin sensitivity in type 2 diabetics and reduce blood glucose and insulin levels (vanadium sulphate). ­­Other ingredients: Acacia gum, rice bran - Chromemate® InterHealth N.I. Take one or two vegetarian capsules at the start of each meal (three to six a day).